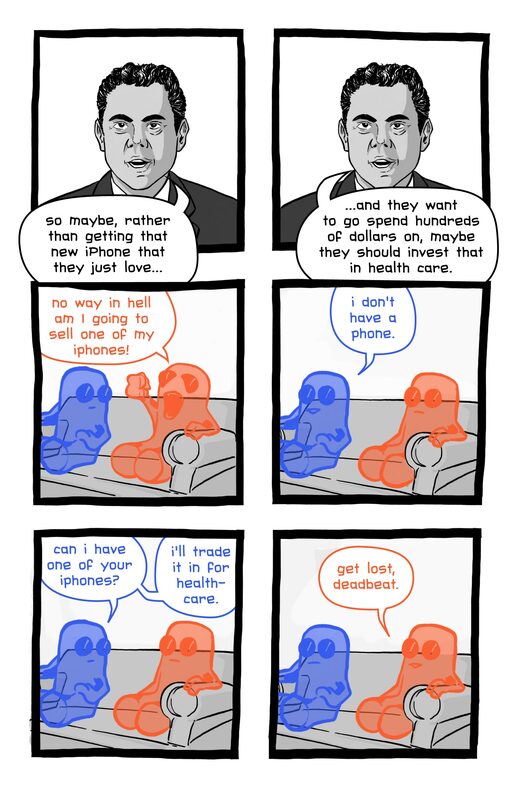 What happens if you can’t afford an iPhone? The assumption here is that everyone walks around with $800 iPhones. Well, there are literally $49 Android phones available to the public. The Republican Party flits between being completely obtuse and showing open disdain for the (seemingly growing) segment of the American public that are struggling to put food on the table, much less buy expensive smartphones. I was going to write something about shifting the healthcare subsidy from income-based to age-based but it breaks my heart to even think about it. I thought our goal was to provide to those with need.